Around the collapse of Pie Face there has been upheaval, store closures and a series of lawsuits. The creditors report, issued last week, sensationally claimed Pie Face had probably been trading while insolvent for at least a year before voluntary administrators were appointed and that as a consolidated group Pie Face had never been profitable. 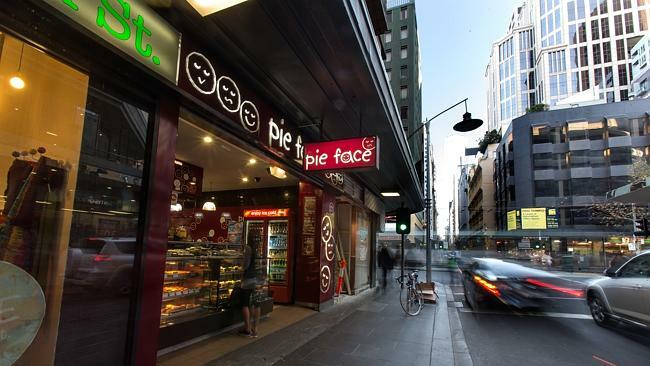 CREDITORS in failed fast-food chain Pie Face will meet today to vote on a rescue deal from investment managers TCA Fund Management Group that could revive the business and save the remaining 51 Pie Face stores across ­Australia. It was initially believed Pie Face founder and former Wall Street banker Wayne Homschek had joined with TCA to help him grab back control of his food group, but it is now unclear if he is still part of the rescue attempt put together by the investment fund. When contacted by The ­Australian, a spokesman for TCA would neither confirm nor deny if Mr Homschek was still working with it on the Pie Face proposal. Mr Homschek was unavailable for comment. If creditors do not support TCA’s proposal, which includes a $2 million loan to Pie Face followed by a $10m capital raising on Wall Street to recapitalise the company, the failed fast-food group could continue to be run by its voluntary administrators or liquidated. The creditors’ meeting in Sydney this morning caps off a ­tumultuous month for the Pie Face chain, which at its peak gathered some of Australia’s smartest investors to back its global plans of international expansion and a possible $150m IPO, but which ultimately fell into voluntary administration late last month with millions of dollars in losses, claims of insolvent trading and four lawsuits. Up until its collapse, Pie Face had 80 stores in Australia and licensing deals for partners to roll out stores in New York, ­Europe, the Middle East and Asia. While some overseas offshoots are viable, its local footprint has shrunk to 51 stores after the voluntary administrators acted to slash costs and boost earnings. Since its founding in 2003 by Mr Homschek and his fashion designer wife Betty Fong, Pie Face raised nearly $50m from investors who backed the entrepreneur’s grand dream to turn Pie Face into a global fast-food chain. These included retail mogul Brett Blundy, the founder of retailer Brazin, who invested $2.6m into the business four years ago, and US billionaire Steve Wynn, who sank $15m into its US franchise arm for a 43 per cent stake. Other shareholders include Rothschild Australia chairman Trevor Rowe, former Rothschild banker Robert Crossman, Fat Prophets’ Angus Geddes and former Austereo ­director Brian Bickmore. The mounting lawsuits now pitched at Pie Face spring from its ill-fated expansion into New York in 2011 in which seven stores were quickly opened in the city but then six closed. Casino owner Mr Wynn, who wanted to take Pie Face from its base in New York and expand across the US, launched legal action against the chain this month and is demanding more than $20m be returned. Lawyers for the landlord at Pie Face’s first New York store at 1691 Broadway have slapped the fast food chain with a lawsuit claiming $US620,000 ($761,000) in damages for wrecking the premises as it renovated the site. In October, another New York City landlord launched a lawsuit against Pie Face, claiming nearly $US50,000 in unpaid rent after Pie Face abandoned its store at 469 Seventh Avenue. Earlier this year a New York builder brought a lawsuit against Pie Face claiming it was still owed nearly $US120,000 in unpaid bills relating to the fitout of a store near Hell’s Kitchen.